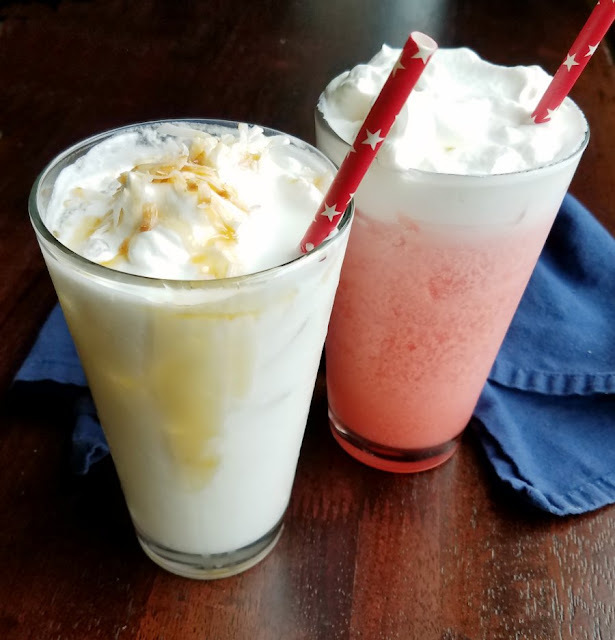 A perfect summer treat, these coconut cream pie Italian sodas are the perfect mix of sweet and refreshing. Cool down by the pool or enjoy as a simple dessert, there are so many ways to enjoy these delicious drinks! There is nothing like a cold drink with a kick of coconut to make summer sing. 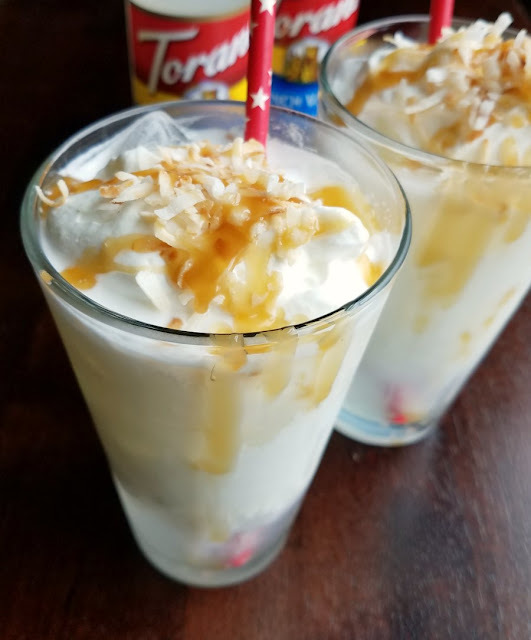 These coconut cream pie Italian sodas have the perfect mix of coconut and vanilla in a creamy cold package. They are easy to make and a great way to take the edge off of summer's heat! As the temperatures heat up, we have been looking for great ways to cool down. This summer it has been all about creating fun new drink flavor combinations. Whether it is strawberry lemonade, peach tea or any other fun flavor punch we can get, as long as it's cold we are there! 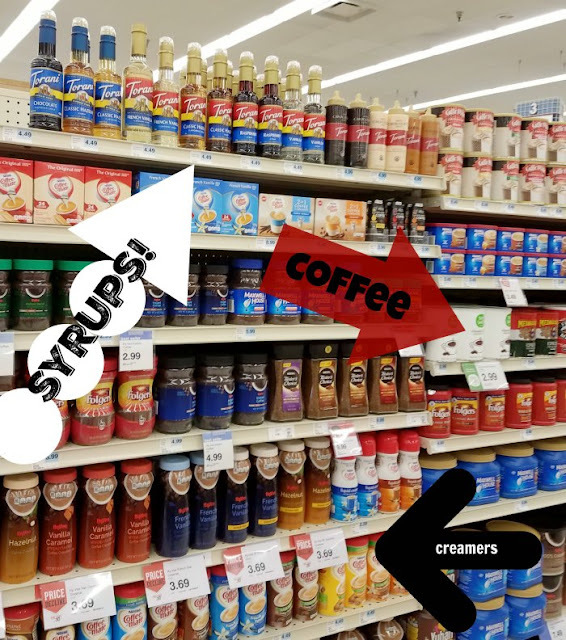 So you may be surprised to find out where I've been getting my drink inspiration lately... the coffee aisle at our local Hy-Vee! 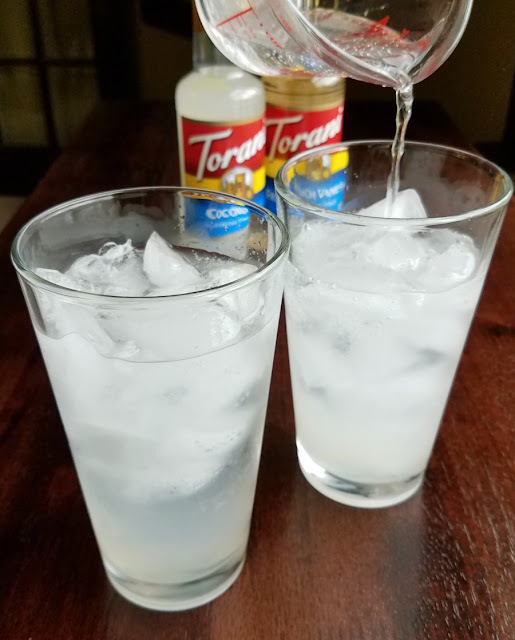 That's right, those same Torani syrups that help you to make coffehouse favorites at home are also great for making non-coffee drinks. Now don't get me wrong, a nice mocha frappe or french vanilla iced coffee is a welcomed summer treat as well. However Little Dude appreciates it when we have leave out the coffee and so do his parents. We are not ready for a caffeinated kindergartner, he has enough energy on his own! The best part is you can save $1.00 on Torani syrups at Hy-Vee right now. Just add the coupon to your Fuel Saver + Perks card and it will be redeemed when you check out! Easy peasy! Don't worry though, if you don't have Hy-Vee stores by you, I am sure you can still get your hands on Torani where you are. Click here to find the list of stores that sell Torani near you! I picked up some french vanilla and coconut syrups knowing a delicious summery drink was just begging to be made. Just imagine a nice tall glass of ice spiked with delicious naturally flavored vanilla and coconut syrups. The fizz of club soda makes it fresh and fun and a splash of cream adds that bit of decadence. Your taste buds are going to dance with this fun taste of summer. If you've never had an Italian soda before, it is a lot like a float but so customizable. 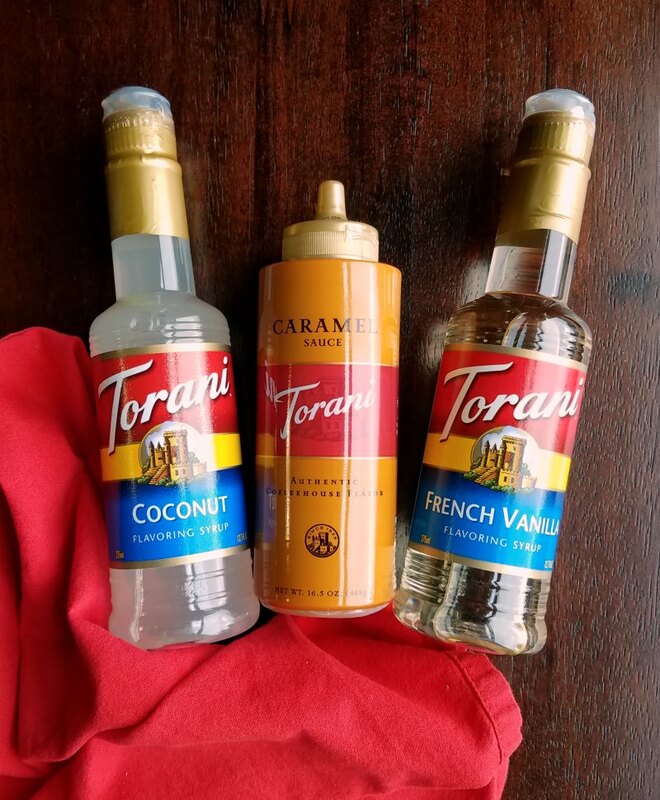 You are limited only by the combinations of syrups you dream up and with Torani your options are near limitless! A little bit of whipped cream on top makes anything better. It just makes it feel like an extra special treat. 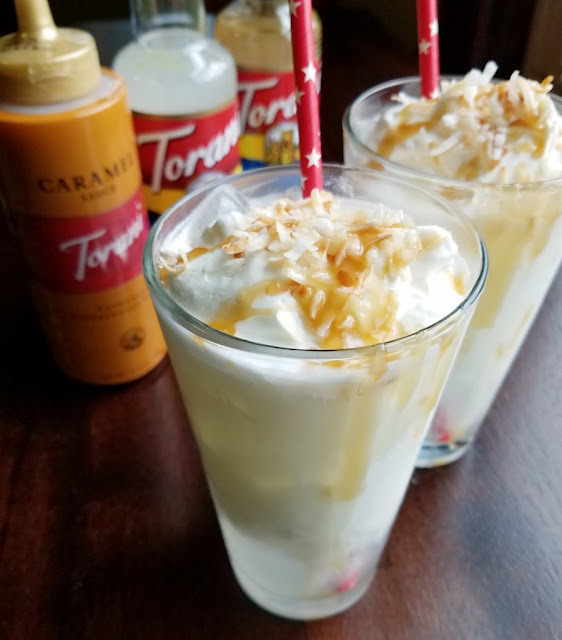 Instead of dragging out more ingredients, flavor your whipped cream with Torani syrup! A Tablespoon or two in a cup of cream is the perfect balance of flavor and sweetness. All you have to do is whip it up into stiff peaks and top your drink! A good garnish makes a big difference for serving as we eat with our eyes first. A sprinkle of toasted coconut is the perfect thing to get you ready for the coconut goodness that is headed your way. 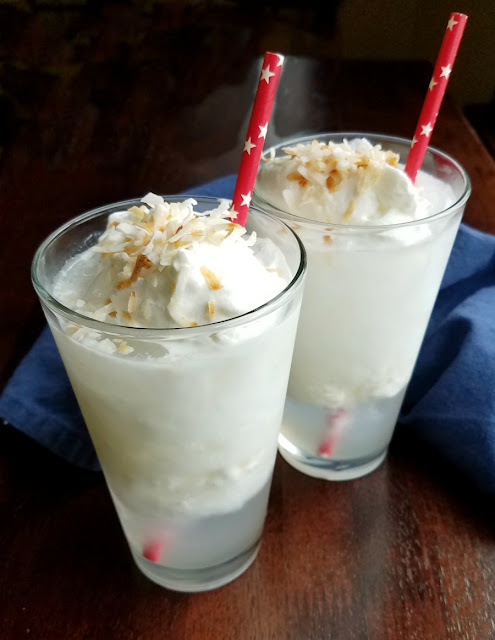 Want to take your coconut cream pie Italian soda to the next level? Add a drizzle of caramel sauce! While super good on it's own, a drizzle of caramel sauce takes this drink to the next level. Instead of a heavy dessert, pass out Italian sodas at your next BBQ. You guests will be wowed and thankful for the refreshing treat! 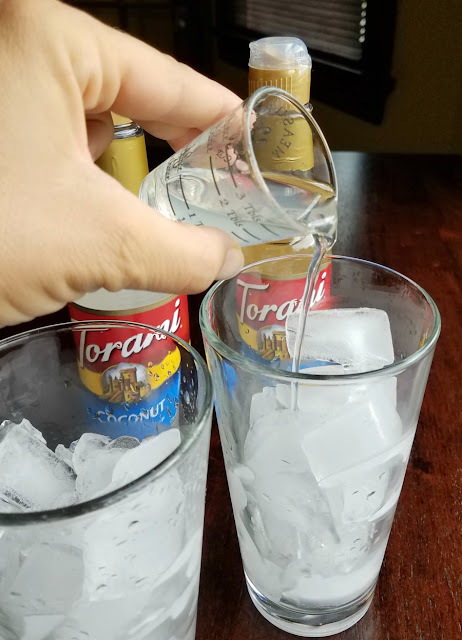 Pro tip: switch out the coconut syrup for Torani's strawberry syrup for a strawberry shortcake Italian soda! Little Dude is not a coconut fan. He is however a fan of feeling like he is a part of the action. So we switched out his coconut syrup for strawberry and a strawberry shortcake Italian soda was born. We of course had to try it too and it was delicious! Strawberry, vanilla and a bit of creamy goodness is a flavor combination we all love! There are so many great combinations you can make with these delicious syrups. This winter they will be gracing my coffee. This summer they are going to continue to be mixed into ice cold drinks. But that is not all, they are also great flavorings for other desserts. If you haven't seen my s'more cupcakes yet, you need to check them out ASAP! 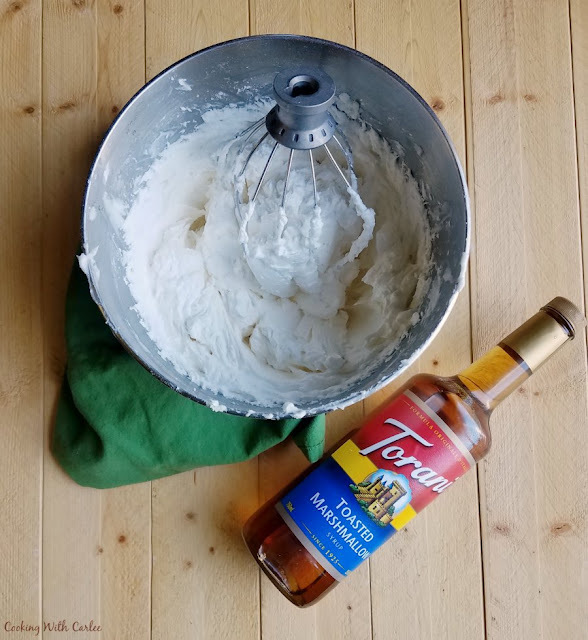 Torani syrups are perfect for flavoring frosting as well! So load up on a great collection of Torani syrups and get creating! What are you going to make first? Whip the heavy cream and vanilla syrup until stiff peaks form. Place in the refrigerator until ready to use. Fill a tall glass with ice. Pour the syrups over the ice. Add the club soda. Then a bit of heavy cream. Garnish with whipped cream and toasted coconut, drizzle with caramel sauce if desired. You definitely need to put them on the men soon! And definitely lunch next time! What a fun treat! My imagination is taking me to pumpkin pie Italian soda. It might be dangerous to tell you that Torani has a pumpkin pie syrup. Imagine that for a moment. Thank you for another fun recipe! Pumpkin pie would be a great flavor for Italian soda, especially with the whipped cream on top! 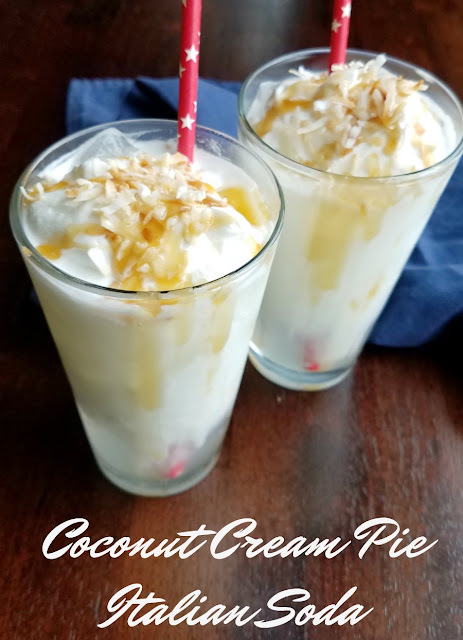 Loving EVERYTHING about this Coconut Cream Pie Italian Soda! Sounds delicious! Thanks so much for sharing with us at the Whimsical Wednesdays Link Party! I am sorry, Carole! I'll come visit soon! We love Italian Sodas, especially my 19 year old. These look and sound fabulous! Thank you for sharing. Hooray! You should give this version a go! Carlee, what a great idea to use syrups like this! I only think of them for coffee! It really amazing all of the fun things you could make with them! What a refreshing soda for our hot summer days! Thanks so much for sharing with us at Full Plate Thursday and sure hope you have a great week! These look so delicious! And the perfect treat on a hot summer day! I struggle with the iced coffee's if it's to late in the day, and I end up not sleeping. This would be a much smarter drink for me! I can't do coffee too late either, but these are a fun way to still get a blast of flavor! Oh yum...this is definitely something I want to drink!!! Come on over, I'll make you one! Congratulations on the Feature on Friday Frenzy!